Windbell resource pack is a fairly fresh and new set of textures that has proven to be quite a favorite of the Minecraft audience in China. However, it was recently made available to the public so that people from all over the world can get to experience and enjoy it. The main objective behind this pack was to revamp the graphics of the game so as to further smoothen their look and feel. 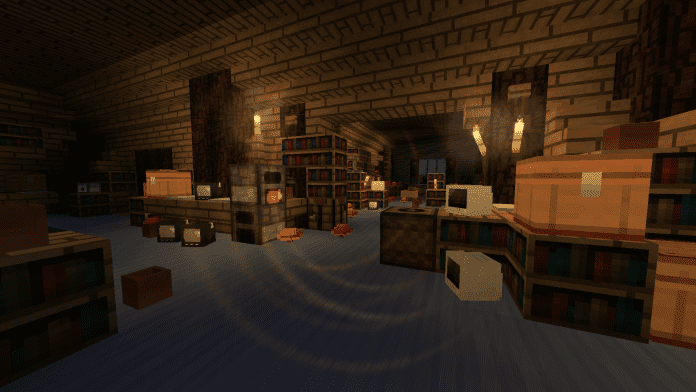 Minecraft may sometimes come across as rather noisy if you are using the Vanilla version to play the game. Nonetheless, one of the best thing about this texture pack is that it eliminates the noise related issues. This makes for a more quieter and enjoyable gaming experience for anybody who decides to try it out. By the way, Windbell resource pack has a resolution of 16 by 16, that provides you with the opportunity to play the game without any lags. 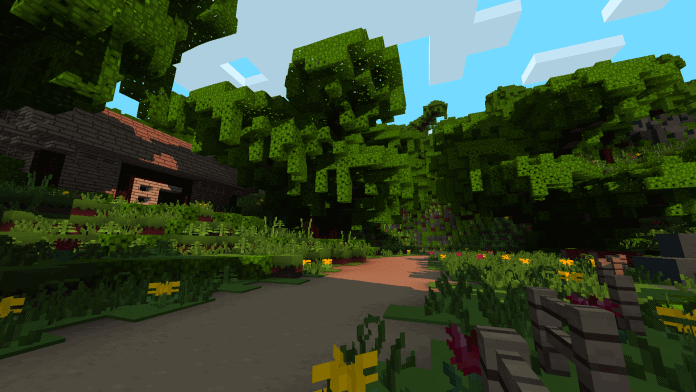 With Windbell you can play Minecraft without having to worry about encountering any fps related issues. The Windell and the Paper Cut-Out resource pack share a number of notable similarities. With the latter proving to be a massive hit among minecraft gamers, you will be quite at ease with the Windbell if you have any prior experience with the Paper Cut-Out pack. Windbell assumes a defaulty and simple style. Simplicity in one of the main features of this pack. Also, it uses a vibrant and bright colors to bring about amazing visuals. 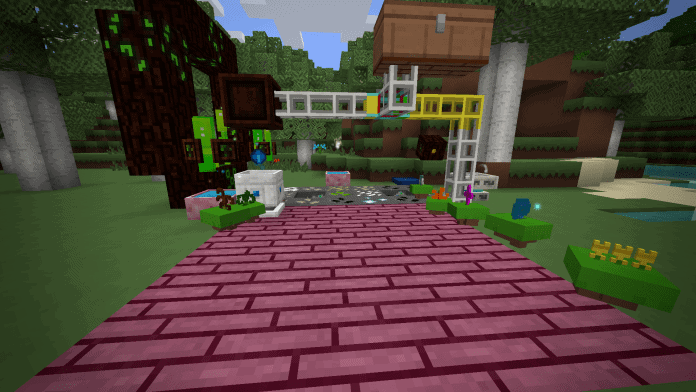 The amount of detail applied to the textures may not automatically grab your attention but the general verdict is that this resource pack has got all it takes to impress you. Aside from the visuals, Windbell also features a few of the latest sound effects that absolutely compliment the overall look of the game. *Credit for creating and developing Windbell goes to coco_fish. It is designed and compatible with the following minecraft versions: 1.12, 1.11. Right now Windbell has 131887 views.